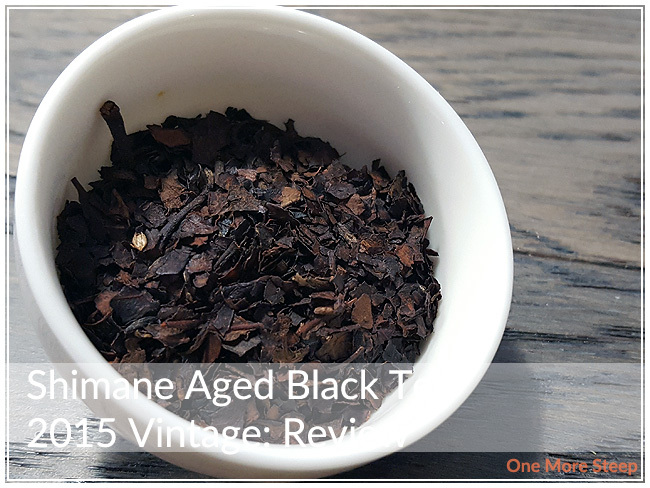 Yunomi has provided me with Shimane Aged Black Tea 2015 Vintage for the purposes of providing an honest review. 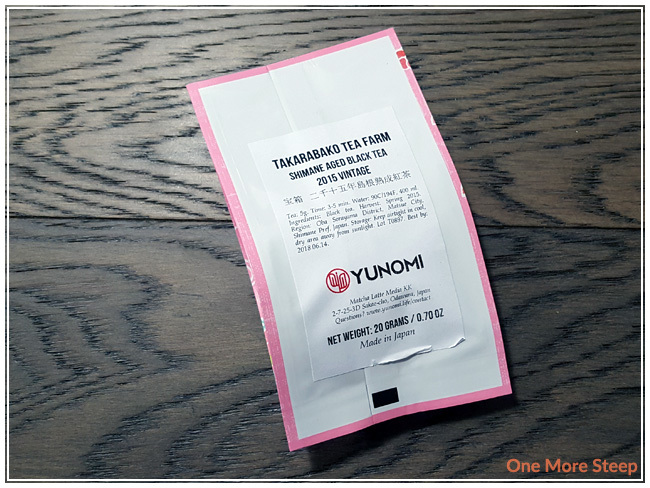 I was a little it surprised by how big this sample was, especially in comparison to the other 20g samples I received from Yunomi from the Takarabako Tea Farm (Shimane Oolong and Shimane Sencha Ou Midori). This black tea is aged at low temperatures and it’s a straight tea, so the only ingredient is black tea. The pieces are surprisingly small, with some tiny sticks mixed in with the leaves. There’s a slightly sweet aroma from the dry leaves that reminds me a bit of dried apricots. Yunomi recommends steeping Shimane Aged Black Tea 2015 Vintage at 90°C (194°F) for 3-5 minutes. My initial steep of this tea was at 4 minutes. 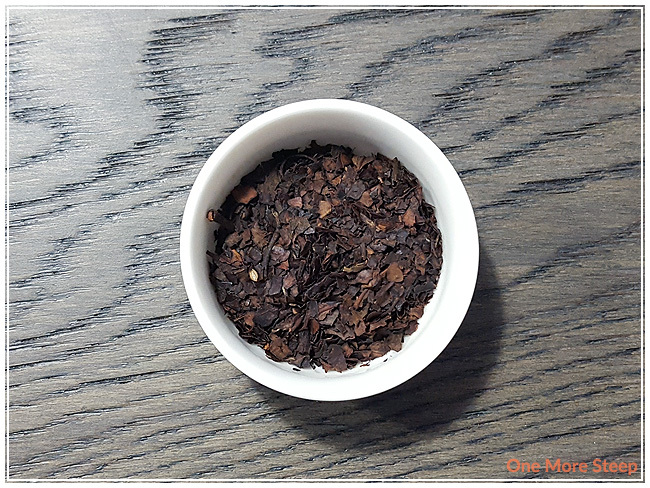 Shimane Aged Black Tea 2015 Vintage steeps to a deep orange. There’s a malty aroma that comes up from the tea when I poured it from my teapot to my cup. I found this tea to have a smooth mouthfeel to it when drinking it, and the malty aroma transfers into a malty flavour. There’s a touch of sweetness in the steeped tea that manages to make itself known with the malty flavours. I found that there’s a bit of a sour aftertaste with this tea, which reminds me a lot of Assam with the maltiness and sourness in that tea’s flavour profile. 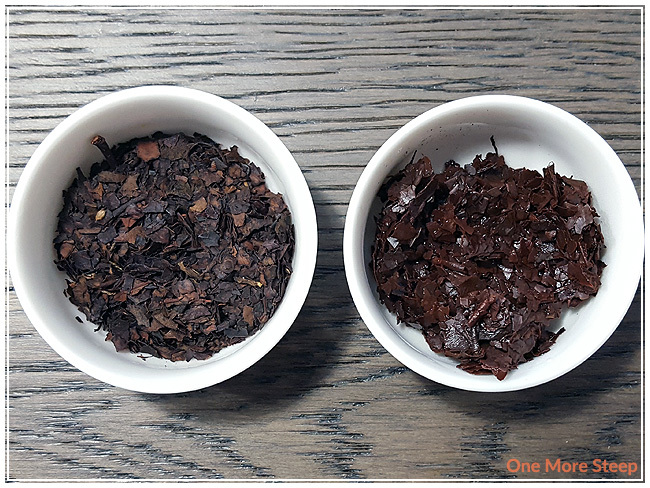 I resteeped Shimane Aged Black Tea 2015 Vintage twice – I found that the colour was a lot lighter with the first resteep, and even lighter still for the second. The malty flavour of this aged black tea is robust enough to hold strong for each resteep, and the slightly sour aftertaste eases up after the initial steep, making the subsequent steeps more ideal (in my mind). I liked Yunomi’s Shimane Aged Black Tea 2015 Vintage. 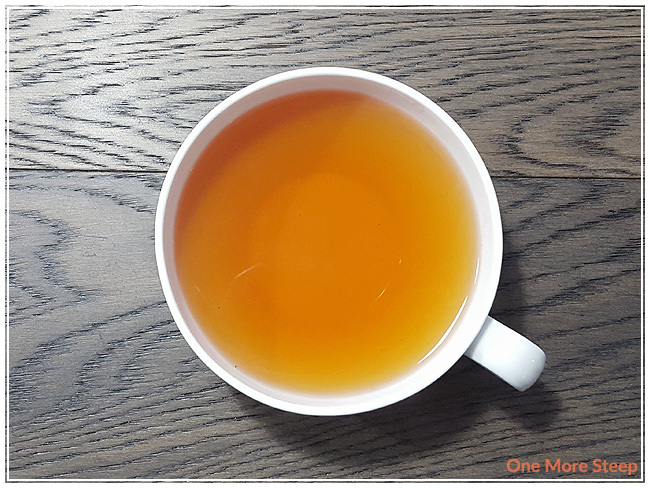 This aged black tea has a strong flavour profile of maltiness that would do well to replace any breakfast tea if you needed a tea that’s even stronger in the morning. Because of the Assam-like qualities, I think it could handle being doctored up with some sweetener or cream. I was more fond of the second steep than I was of the first, because the sour aftertaste was more subdued. I enjoyed this one and think it has its place at an afternoon tea party if you wanted to branch away from the standard Earl Grey.